Powerful media mogul Harvey Weinstein has been accused of sexual harassing at least eight women over the span of nearly 30 years, according to a new bombshell report. "An investigation by the New York Times found previously undisclosed allegations against Mr. Weinstein stretching over nearly three decades," the paper reported Thursday. "Mr. Weinstein has reached at least eight settlements with women, according to two company officials speaking on the condition of anonymity," the Times reported. "Among the recipients … were a young assistant in New York in 1990, an actress in 1997, an assistant in London in 1998, [and] an Italian model in 2015." Among the most famous names to accuse Weinstein of sexual harassment are actresses Ashley Judd and Rose McGowan. Judd described in 2015 how a then-unnamed producer invited her to his hotel room two decades ago and tried to get her to watch him shower. Weinstein settled with McGowan for $100,000 after another hotel incident. In 2014, Weinstein invited an employee, law and business school student Emily Nestor, to the same hotel as Judd, and offered to advance her career if she slept with him, according to the Times, which cited "accounts she provided to colleagues who sent them to Weinstein Company executives." Nestor had only worked for his company for one day. In the most serious incident in 2015, an Italian model and aspiring actress, Ambra Battilana, alleged that Weinstein grabbed her breasts and tried to place his hands up her skirt. Battilana called the police, but the Manhattan district attorney's office later declined to bring charges. Weinstein called some of the allegations "patently false," but apologized generally for his behavior in a statement. "I appreciate the way I've behaved with colleagues in the past has caused a lot of pain, and I sincerely apologize for it," he said in a statement to the Times. "Though I'm trying to do better, I know I have a long way to go." 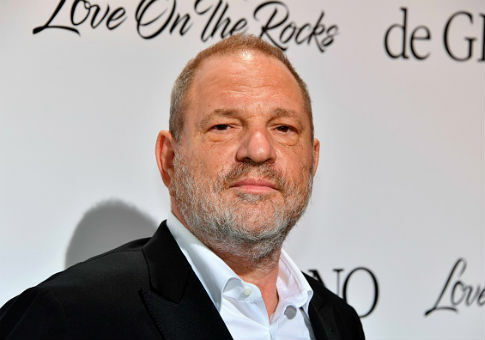 The Times noted that despite his treatment of women, Weinstein publicly portrayed himself as a feminist and was a major Democratic fundraiser. In 2016, he hosted a fundraiser for Hillary Clinton, and this year, he hired Malia Obama, the oldest daughter of former President Barack Obama, as an intern. This entry was posted in Culture and tagged Harvey Weinstein, Hollywood, New York Times. Bookmark the permalink.